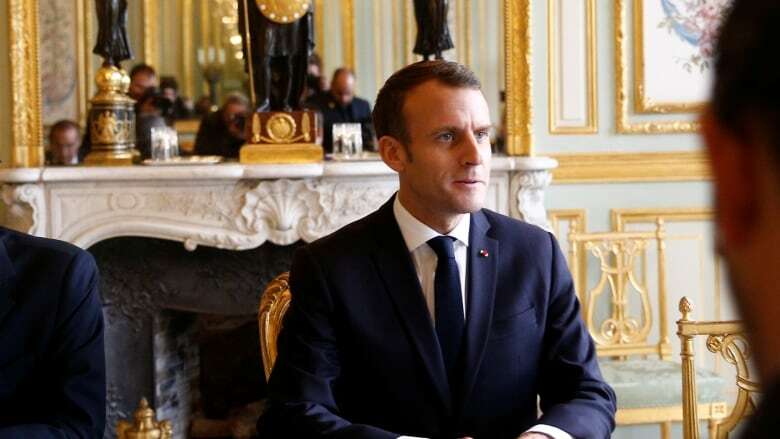 Outmanoeuvered by a "yellow vest" movement with no leaders, French President Emmanuel Macron faces political danger in the provinces, where the anger welled up, where the movement began and where the fury is focused. 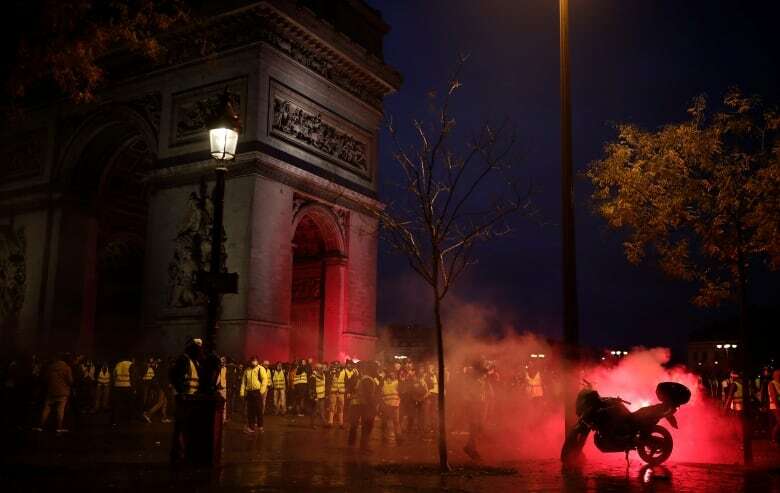 This was Paris last weekend in confrontations that showed the French government and police completely outmanoeuvered by a people's movement with no leaders, by thousands of people wearing "gilets jaunes," the yellow vests that all motorists must carry in their cars in case of accident or breakdown. 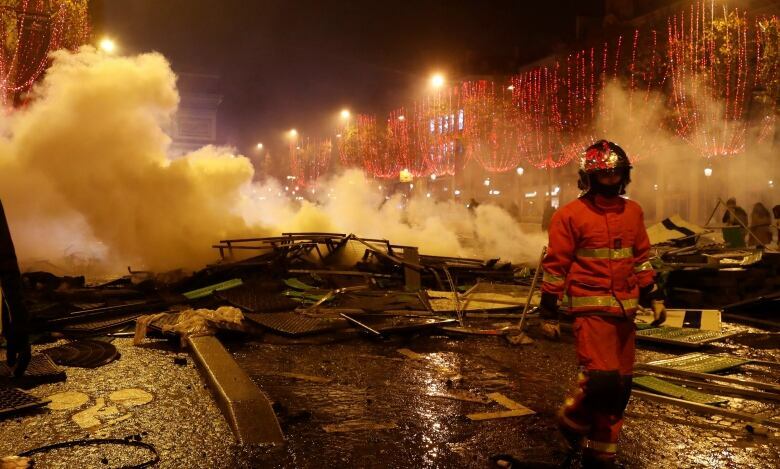 Paris was what the world saw, but for France's 40-year-old president, Emmanuel Macron, the provinces are where the danger is. They are where the anger welled up, where the movement began, and where the fury is focused. "All the violence, it's Macron's fault. People are desperate!" 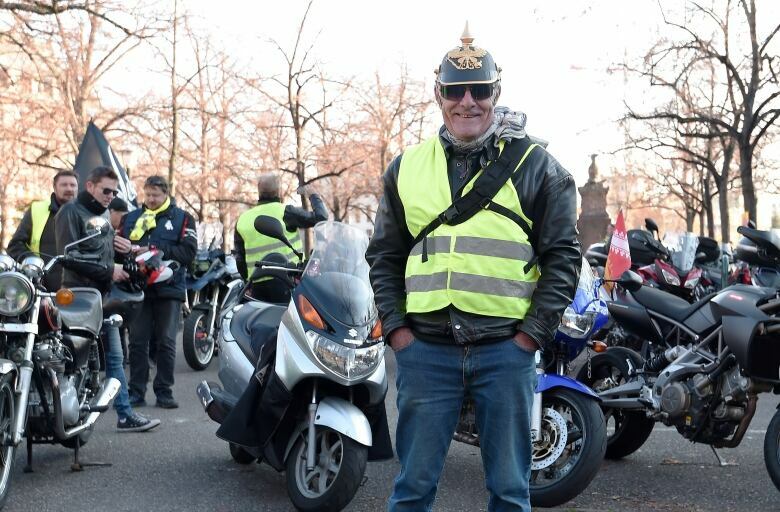 This was Raymonde, an 87-year-old woman, part of a yellow vests brigade stopping traffic at a roundabout near the city of Rouen, in the north, the same weekend. "This is revolution!" shouted her sister Annette. On succeeding weekends the number of demonstrators has shrunk, but the number of "casseurs" — extremists of the left and right bent on smash-and-grab tactics and battles with cops — has grown. There were thousands on Dec. 1, according to police. They call them the "black bloc." "At the end of the month, I've got nothing left," said Fabrice Girardin in Creuse in central France. It was a common cry of the protesters as they continued to man barricades on roads. The barricades and demonstrations have led to four accidental deaths. The revolt has begun to spread. On Dec. 3, high school students shut 100 schools to protest changes to school-leaving exams. Paramedics and ambulance drivers demonstrated against their low wages in front of France's parliament, the National Assembly. Ministers complained that, facing a movement without leaders, they didn't know whom to talk to. 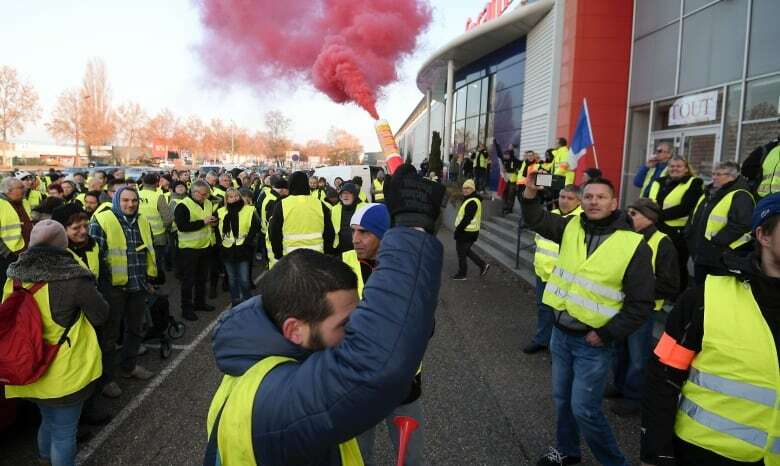 The fear of a nationwide tide of protests so rattled Macron's government that on Tuesday it announced its planned fuel tax and utility price hikes set for January would be postponed until summer. It was a stunning turnaround for Macron. Just 10 days earlier, on Nov. 24, he had told a meeting of French mayors: "It's characteristic of me to say things that annoy people; it's also characteristic of me that what I say, I do." And he has been accused of exercising his power arrogantly, pushing through a transformation of the labour code and the national railways by decree. His first decision was to abolish the French tax on capital, known as the "tax on big fortunes." 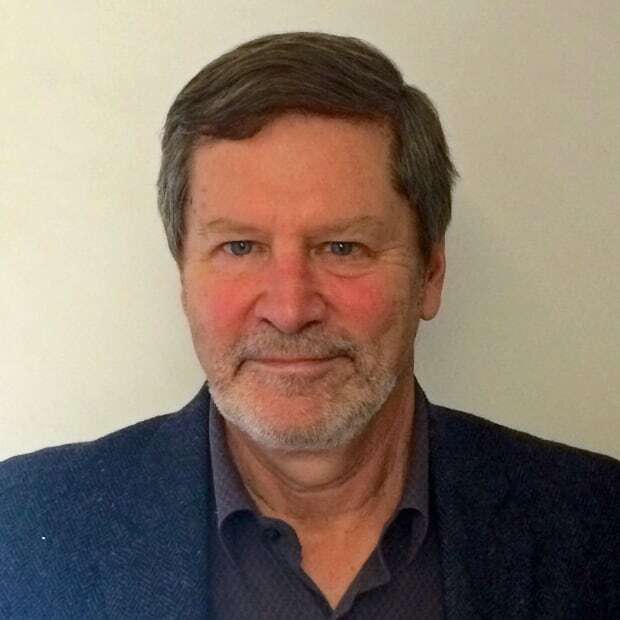 He said it scared off potential investors. He was quickly dubbed "the president of the rich." He didn't help himself in September, when he brushed off one unemployed man by saying, "If I cross the road, I can find you a job." He acquired the sour nickname of "Jupiter." His poll numbers dropped dangerously. Only about 30 per cent of voters say they're satisfied with him. That's considerably lower than U.S. President Donald Trump's approval numbers. The attackers had come from the "banlieues," the poor suburbs ringing Paris filled with young, radicalized Muslim men. 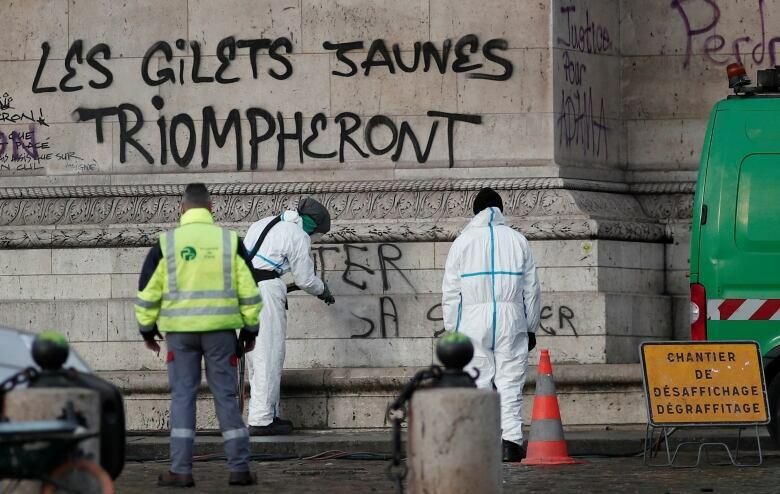 Security resources were poured into the "banlieues." No one was looking to the small, poor cities and regions far from the capital.